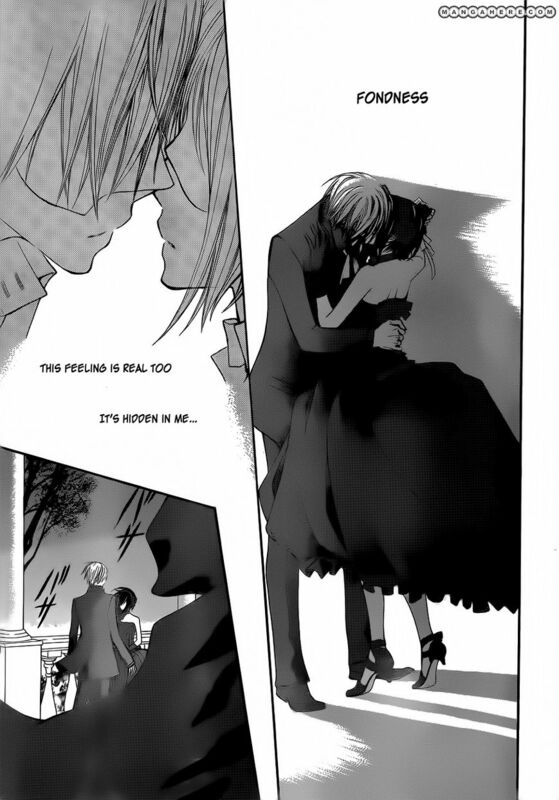 Zero and Yuki's kiss(Chap 87). . HD Wallpaper and background images in the 뱀파이어 기사 club. This 뱀파이어 기사 photo contains 신문 용지, 잡지, 타블로이드, 걸레, 신문, 종이, 타블로 이드, and 걸 레. There might also be 기호, 포스터, 텍스트, 칠판, 사인, 서명, 애니메이션, 만화, and 만화책.